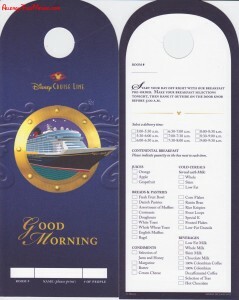 Here are a few suggestions that we have for DCL after taking a Disney Cruise with a food allergy. Comment below with yours. More options for the grilled chicken – sauces would be great, like teriyaki, BBQ, pesto, etc. Enjoy Life Foods cookies, and allergy-free snacks and candy. We had a great trip, but adding options like these would have made it just as magical as Disney World for food allergies. 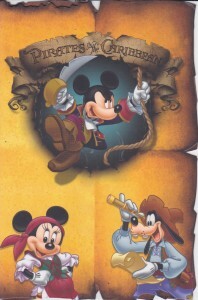 Call DCL and find out which night is Pirate night, formal night and semi-formal night. 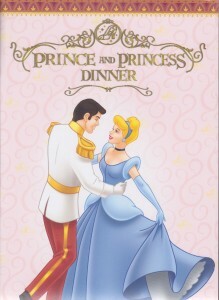 Make reservations at Palo after the 3rd night. You will want to eat at the 1st rotation at each restaurant and you probably don’t want to miss Pirate night away from the kids, while at Palo. You can only book one dinner and one brunch at Palo. 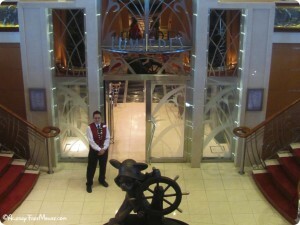 Once you board the ship, you may add another reservation. Make good friends with your waiters. Explain your food allergy in a warm and kind manner. They will be your servers for dinner on the entire cruise. Get to know the head waiter, or maitre d’ — he’s your link to the chefs! Kindness and appreciation for all they do for us with food allergies should never be taken for granted. Remember, your food is included in your fare. If your food allergic child finds a dessert or food item they really like, ask for another serving or two to go. The same menu items aren’t served every night and different chefs may prepare something a little different. Having something on-hand will help if you find your child doesn’t care for the options at another meal. Plus, food allergic kids can’t snack all over the boat like other kids can. So having a little treat in the fridge helps with this, too. I would order this through the head waiter ahead of time and, when it’s delivered to your room, clean and keep the silverware in case your need it for later, for leftovers you may have in the fridge. Don’t leave it out in the open, as the housekeeping staff will take it, only doing what others would expect. Free iced tea (pre-made by Lipton 🙁 ) and soft drinks, are available on deck 9 near the pool. If you order them at a bar, they will cost you $1.75 each. We ordered a dairy-free cake. It wasn’t great at first, but it was better after a day in the fridge! The cake was a dry, chocolate cake with diary-free whipped cream as the frosting. This was absorbed by the cake, making it more moist. Go figure! 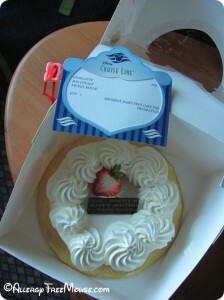 Even thought we ordered the “Bon Voyage” cake, but instead we received the Happy Birthday cake, complete with a huge birthday banner draped across our stateroom, plus two birthday cascades and a huge door magnet. We noticed on our Fish Extender list, that a little boy was celebrating his birthday, so we decorated his door with the birthday decorations. He came out as we were finishing up — we must have been loud with laughter — and was so thrilled by the site. It was a great memory. We hope these menus will help you plan your food allergy free meals. Click for a full menu. This was one area where we had to adjust the suggested tipping amounts we found online and in books. We stayed with the suggestions for the assistant server and the head server, but the maitre d’ (also called the head server) guideline was very small — $14.00. We needed him more than the average diner, so we gave him a $100 tip. He’s the guy to change reservation times, send food to your room, talk to the chefs about problems, and a lot more aspects of dealing with your food allergy free meals. He is the link from your table to the chefs. Our head waiter also did a phenomenal job, but was pre-calculated and $80 (or so) tip. 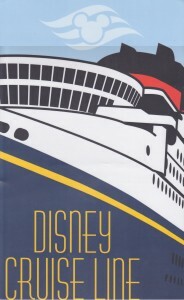 A reader, Ashlie, sent this to us in response to our Disney Cruise information. 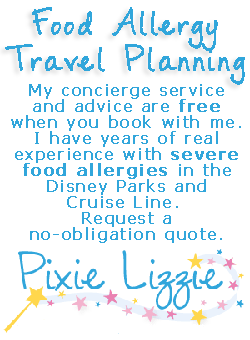 I saw your post about the Disney Magic with food allergies. 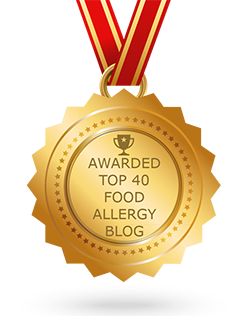 I just wanted to share with you my experiences with DCL and food allergies. I have Celiac Disease so I’m gluten free and my mom also has Celiac and has a soy allergy. 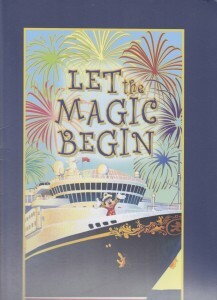 I sailed on the Wonder (sister ship to the Magic) and I found experiences similar to yours. 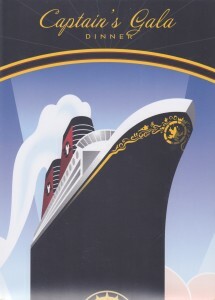 I’ve also sailed on the Dream three times and on the Fantasy once. I’m going on my second Fantasy cruise in March. I’ve found the newer ships the Dream and the Fantasy much more accommodating with our special dietary needs. 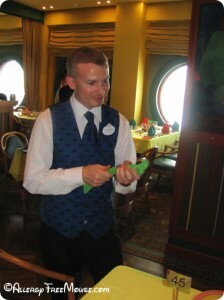 They seemed more willing to customize meals and make things special just for us. 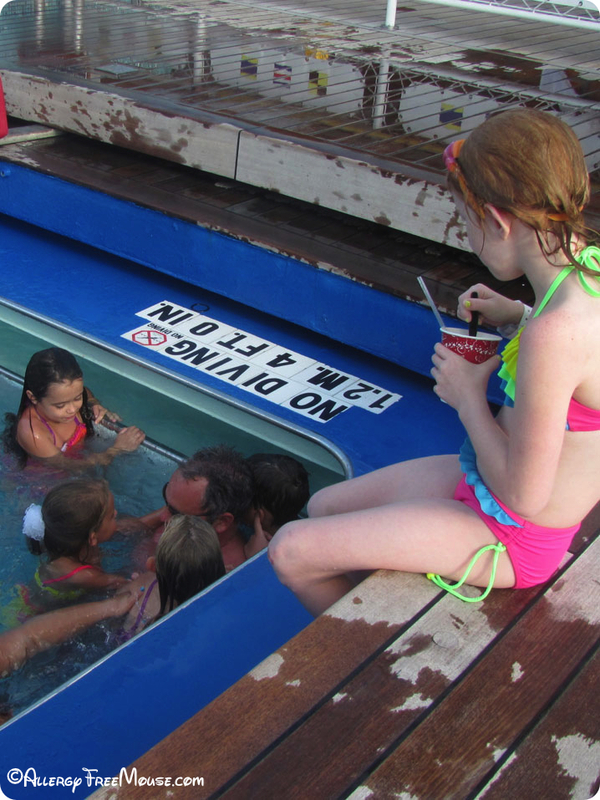 Besides pre-ordering our meals, we could also go up on the pool deck and get a safe meal. We spoke to AllergyFree Foods about this. 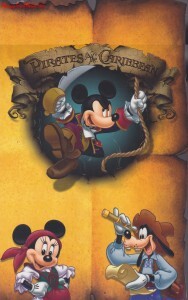 It was a distribution issue that affected Texas-based Disney Cruises, and should be corrected now. They had the gluten-free chicken tenders you were talking about. They had a dedicated fryer so you could get chicken fingers and fries by the pool. They could also do gluten free pizzas (not sure if the crusts were dairy free) I’m extremely sensitive to gluten and I never got sick from eating at the pool deck. If you ever decide to sail DCL in the future, I’d highly recommend the newer ships over the older ships for the way they accommodate special dietary requests. Okay — there is food everywhere! Take wipes and be on the lookout. There is food near the pool, as you can see. I simply asked this little girl to be careful, explaining that my daughter was allergic to dairy and asked her to please throw it away when she was finished. She did. Some pools have no lifeguards and some have a low ratio of lifeguards to swimmers. So, food, running and horseplay is common at the pool. 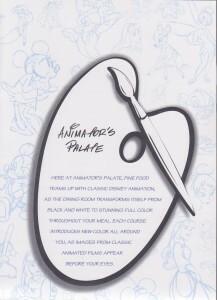 The pools all have some sort of food service nearby; Goofy’s Gallery (hamburgers, tacos, chicken strips, fries), Pinocchio’s Pizzeria, soft-serve ice cream, and Pluto’s Dog House. 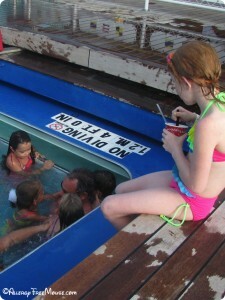 My daughter couldn’t eat any of the food offerings, but was okay in the pool. I was on HIGH ALERT, but she was fine. However, the pool water is pretty murky. 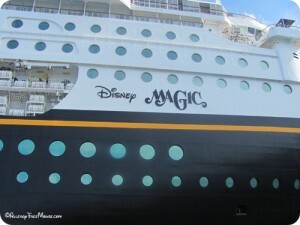 By the end of the cruise, you can no longer see Goofy’s face painted on the bottom. That’s when we opted not to swim! As with Disney World, the staff is trained with food allergy protocols. My daughter didn’t once have hives or symptoms of anaphylaxis. That alone was worth the trip! She had so much fun at sea, and it was safe with my watchful eye! I wish that I had more options for our dairy & beef allergic child, it seems that she had so much chicken, I was starting to worry that she would get burned out on it! It would be better if the chicken had different sauces, maybe. She was served a plain roasted chicken. Teriyaki, BBQ sauce, basil pesto — anything could have helped! All of the bread was made with dairy. 🙁 I wish that I had brought a loaf of Rudi’s bread or Ener-G Rolls with us. 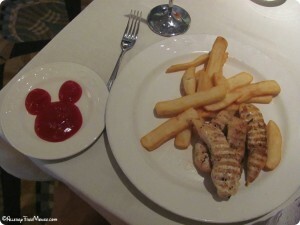 Also, there are no allergy-free chicken tenders available, like those found all over Disney World. With the bread, I could have made her chicken-bacon-guacamole sandwiches, teriyaki chicken sandwiches and more. Update: We spoke to AllergyFree Foods about this. 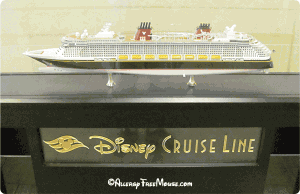 It was a distribution oversite affecting Texas-based Disney Cruises. They should be available now. I inquired about and found that gluten-free pizzas can be found, however, I was told to speak with the head server to order one. They also had gluten-free rolls available. After each dinner, I was provided menues for breakfast, lunch and dinner for the following day. I chose her meals, wrote them down and gave them to our waiter. See the menus posted for ideas!! This may help you pack for your trip. For the next cruise, we will pack a loaf of Rudi’s bread, Ener-G rolls, Daiya cheese, Earth Balance butter, BBQ Sauce, French Meadow brownies and her favorite salad dressing. Dining times are your choice, either 11:45 or 1:30 for lunch and 5:45 or 8:15 for dinner. You select either the early or later slot, and they become your dining times for the entire cruise. Take into account your child’s ability to stay up late after running around all day and playing all day. Our daughter has the ability to stay up late, to 11:00 on weekends and is in bed by 8:00 on weekdays. But she was tanked out at 8:30 every night! I picked the later time because you see the shows first, then enjoy dinner and the Oceaneer Lab / Club will pick up children at 9:00 from the dining rooms and take them to the clubs! Sounds perfect. My Mother and I could spend the rest of dinner with adult conversation and sneak in a dessert that our daughter could not eat, due to her dairy allergy. But, she didn’t even make it to her meal. We were able to take someone else’s table at 5:45 when the had reservations at Palo (the adult-only restaurant) and this helped out tremendously. She ate, refueled, and was able to last until 10:00 PM to see the shows and characters in the lobby! After discovering this, I asked if the chef could make her hummus and pita, guacamole and extra pitas for lunch, that we took back to the room with us. She ate this in the afternoon and lasted until just after finishing her dinner. On the day of the beach excursions, she actually napped in the afternoon, woke up at 5:30 and made it through the last meal time, and saw the characters afterwards. But this was the only time I was able to get an 8-year-old to nap! The early dinner slot fills up quickly and guests have their times changed from the later to the earlier slots and this fills up right away! 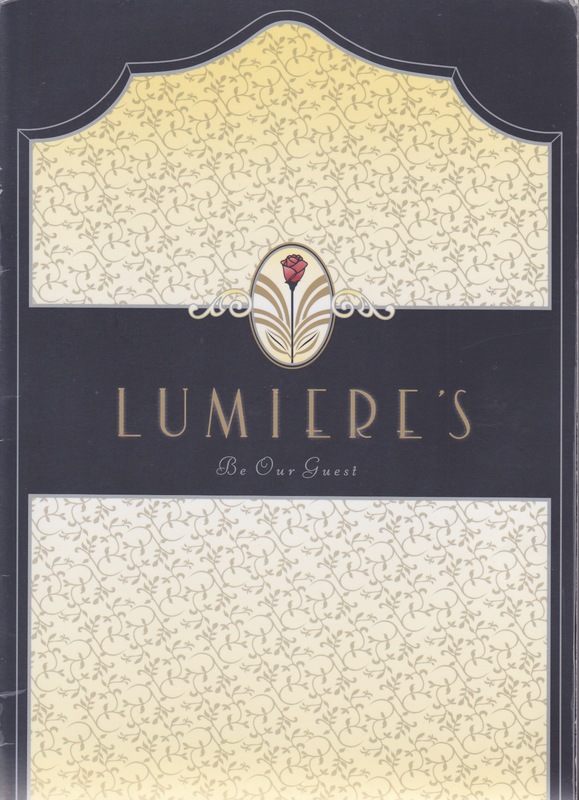 Lumiere‘s – a restaurant based on the story of Beauty and the Beast. French-inspired food for dinner, and continental breakfast and lunch. Parrot Cay – Island-inspired decor and fare for dinner. Mickey’s Island Jam breakfast is served once a during your seven-day trip. This is a character breakfast that Chip & Dale, Goofy, Minnie, and Mickey will come by your table for pictures and autographs. Be on the lookout for crazy hats made from napkins for the guests! Palo – for adults only. Offers Northern Italian at night, and a fantastic brunch. The best brunch I’ve ever had the pleasure of enjoying. A must! Check out the photos, as they tell the story. 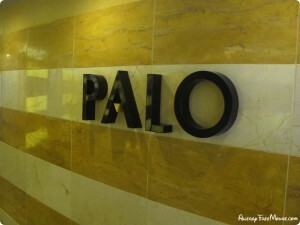 Check out the menu and more Palo restaurant tips – coming soon.